Photovoltaic panels (PV panels) are a type of solar panel which converts light energy into electric power. The light from the sun is collected by the panels which induces an electrical flow in a circuit. They are generally made of silicon, however other types use materials such as Cadmium Telluride can be used. Solar panels have the advantage that as they have no moving parts, there is very little on them to fail. Silicon PV systems have lifetimes of 25 to 40 years. Correctly installed systems in the UK can generate annually approximately 900kWh per kWp installed, although this depends on orientation, shading and geographic position. Narec DE perform a range of services with regard to photovoltaic systems. 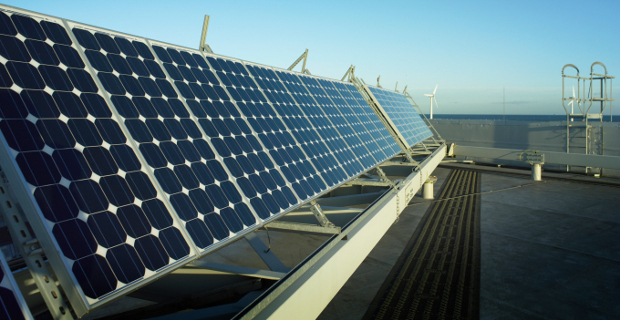 Projects range from single building arrays up to multi-MW solar farms. For detailed R&D development of PV cells or production of bespoke photovoltaic modules please contact Solar Capture Technologies. Feasibility studies on a range of domestic and commercial buildings, including shading analysis, energy outputs, and financial calculations (including the feed in tariff).